At Remit2India, we take a lot of precautions to manage fraud and ensure that your information is absolutely safe. This includes stringent data management processes & systems, using the latest fraud management tools, constant audits etc. 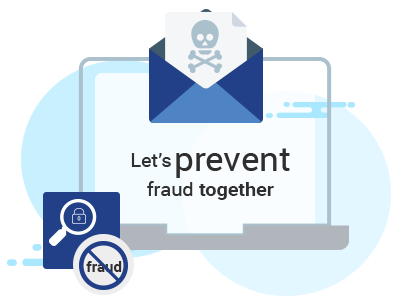 However, to ensure that your experience with us is always safe, we need you to also follow some basic fraud management tips, which would help safeguard your information. If an unknown relative suddenly sends you a request to send money because he/she is in an emergency, please ignore it. Fraudsters are constantly looking to exploit such situations to get your money. Winning a lottery is an extremely rare probability especially if you haven't participated in one. So if you get an email asking you to deposit money to claim your lottery, please delete the mail right away. It's definitely a scam. Fraudsters are constantly looking for your confidential information including passwords, account details, etc. Make sure you don't respond to any email request for your password etc. because we will never ask for it. Also, look out for suspicious signs like bad spelling, mass emails not personally addressed to you, broken images, odd-looking URLs etc. before clicking on any link. Did you come across someone in a chat room or e-mail, who showed interest in you and is at a distant location? Did they want to meet you and asked you to sponsor his/her travel and for further financial help. This may sound like a romantic fairy tale but this can be a potential scam. Do not send any money as it can never be recovered and you will be at a loss.